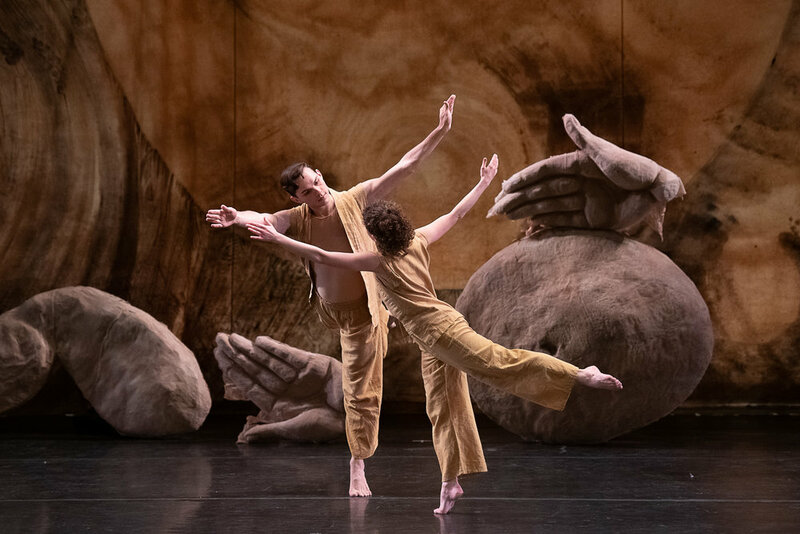 Commissioned and Produced by Bard SummerScape, Fantasque is an ebullient and magical pageant created by choreographer John Heginbotham and puppeteer Amy Trompetter, and inspired by the Ballet Russes' 1919 production of La Boutique Fantasque. Giant puppets and human dancers join forces to create a fable of a battle of light and darkness, with a fantastical cast of characters featuring giant babies, blue angels, devils, rats, and a restaurant where the customers are tuxedo-wearing fish. 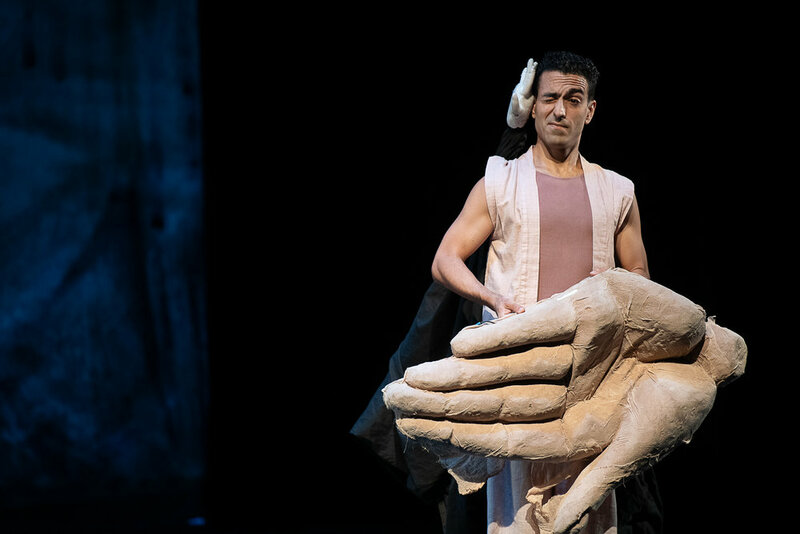 Performed to live music composed by Gioachino Rossini and Ottorino Respighi, Fantasque ruminates on morality and immorality as seen through a child’s eyes in a series of connected vignettes bound by an unconventional and tender merging of puppetry and dance. Fantasque was commissioned by and developed in residence at the Richard B. Fisher Center for the Performing Arts at Bard College, where it was produced by and received its World Premiere at Bard SummerScape in July 2016. Fantasque was developed with the support of a 2016 CUNY Dance Initiative Residency at Brooklyn College. The world premiere of Fantasque at Bard SummerScape was part of The New York State Presenters Network Presenter-Artist Partnership Project made possible through a regrant from the New York State Council on the Arts, a state agency with the support of Governor Andrew Cuomo and the New York State Legislature.